Founded by fundraisers, DonorTrends balances fundraising art and science by delivering our unique brand of A.I. to organizations of all sizes. We know how valuable your time is, so we do the heavy lifting for you. 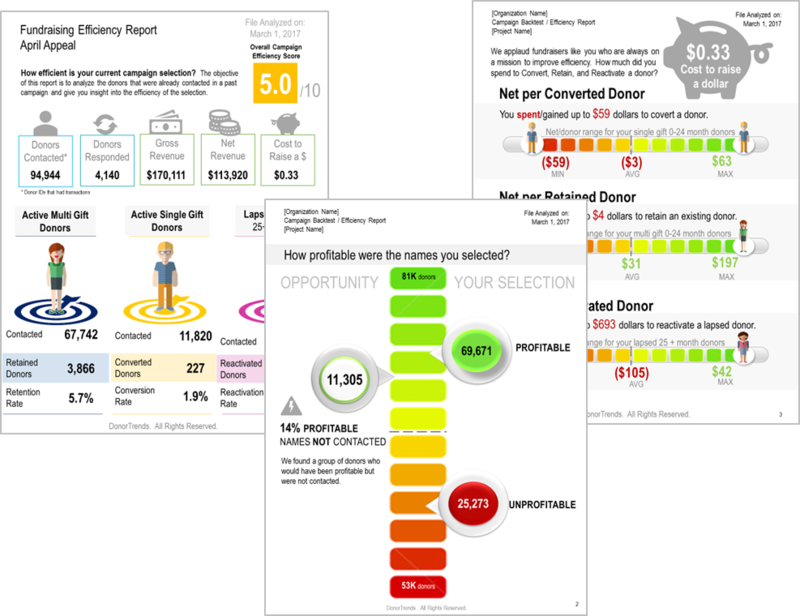 Our Actionable fundraising Intelligence makes it easy for you to quickly access your vital metrics, including donor retention and lifetime value. We’ll identify the right donors to contact and provide benchmarks and reports to track success. 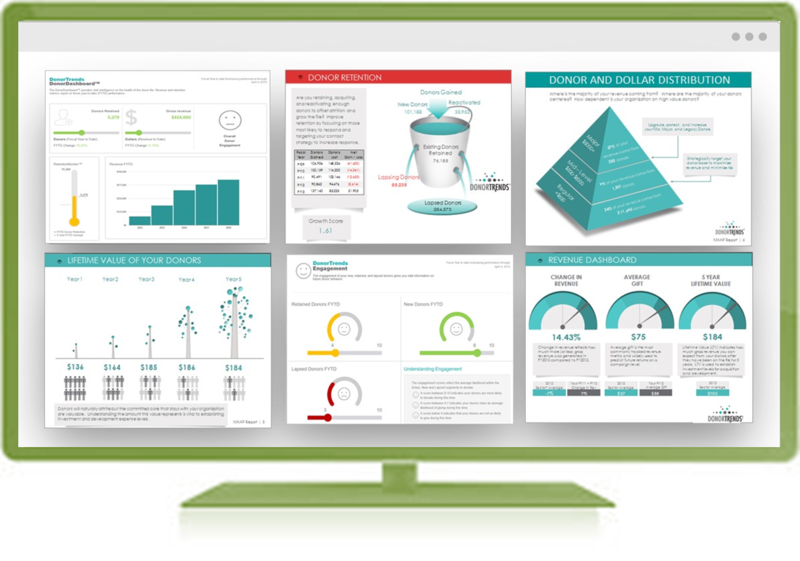 Our tools help your organization improve performance at every level of your income pyramid, guaranteeing both increased contributions and decreased costs for fundraising, marketing, and operations. All of our insights are based solely on your organization’s current reality and spheres of opportunity. But the best part? We’ve taken a pledge to provide analytics to you for FREE. Results are guaranteed and donor name / address is NEVER required. And we are always available help you put your data insights into action [no programing or patience required].